Pangot is a small picturesque hamlet famous for its jungles and birds, located just 15 kms from Nainital. Walking into Pangot is like stepping into a remote Himalayan village. 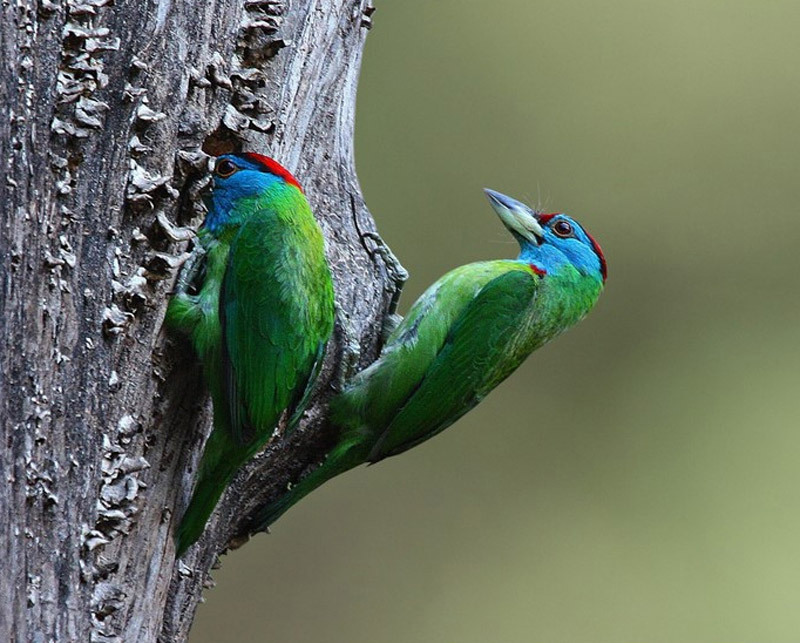 It is a birdwatchers paradise and have more than 530 species of birds in and around. 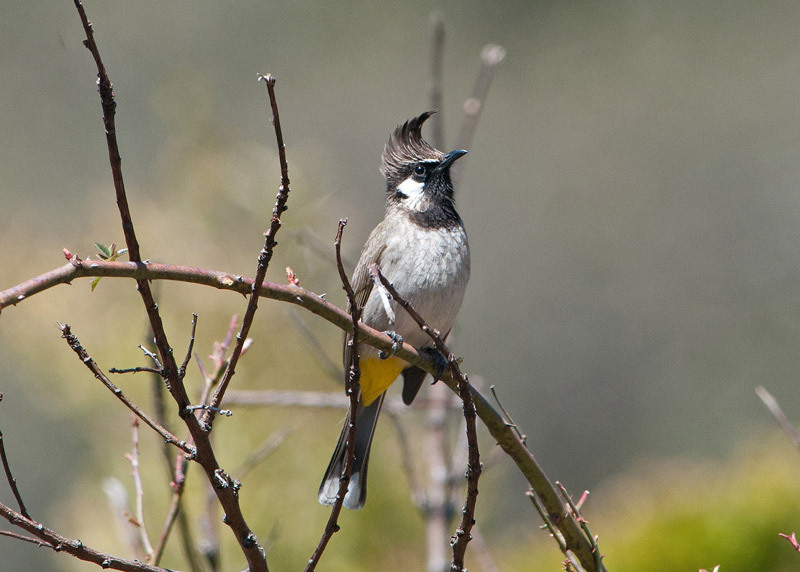 The entire drive to reach Pangot is through the forested area of Cheena Peak Range via Snow View Point and Kilbury, the main habitats for excellent birding. The forests of Pangot and surrounding areas are dominated by thick Oak, Pine and Rhododendron. The streams passing by the area makes it even more attractive place. 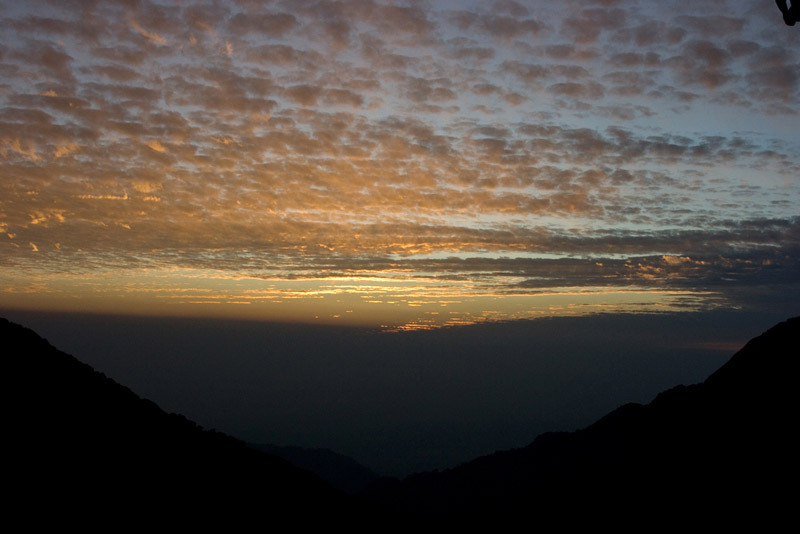 The hill station is visited in a huge number by tourists all round the year. The pleasant and spell bounding weather in summers and snow clad mountain peaks in winters attract visitors from all over the world. Pangot is a quiet and calm place which makes it an ideal destination for honeymooners too. It is an incredible place for bird watching, adventurous activities, mountain biking and trekking. The trekking trail starts from Pangot and leads to Naina Peak and another one leads to Corbett National Park. 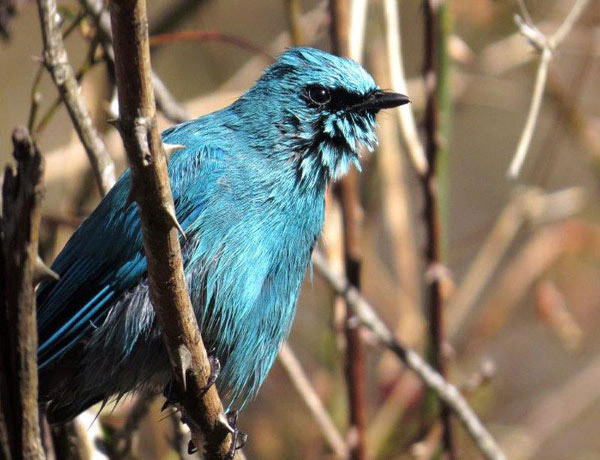 Bird Watching: Pangot is known for the myriads species of birds that inhabit the region. More than 500 species of birds have been recorded at Pangot including Himalayan griffon, blue-winged minla, khalij peasant and lammergeyer to name a few. Trekking in Pangot: Pangot does have few trekking/hiking trails for the adventurers that take some through lush green forests over the ridge and down the valley. There is a popular trekking trail that takes one from Pangot to Naina Peak. Another one leads to Corbett National Park. Camping: Camping is another activity that is worth trying at Pangot. Camping under a starry night with your family and friends in front of a campfire is a really good way to unwind and relax in the lap of nature. For birdwatchers, it is advised to wear jungle colors such as beige, khaki, and olive green which acts as a camouflage in the woods. Pangot is one of those places in Uttarakhand that can be visited all round the year. However, the best time to travel to Pangot is from March to July. 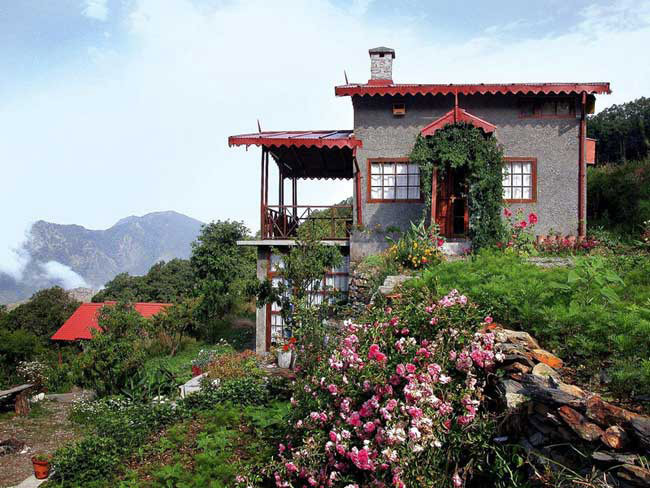 Referred to as ‘Birdwatcher’s Paradise’, Pangot is a hamlet situated not so far away from Nainital. Being a small village, tourists may have difficulty finding a place to stay as there are only a handful of cottages and resorts at Pangot. One can find few camps in the region as well. Since Nainital is situated only 13 kms from Pangot, many tourists stay at Nainital and visit Pangot on a day-trip. Finding a good restaurant to eat is quite difficult in Pangot. At best one can find few roadside dhabas serving few North Indian dishes along with popular Chinese items. The cottages and resorts located at Pangot have do in-house restaurants and bar that offer a wide variety of delicious and freshly prepared Indian and international cuisines to its guests. You can see a variety of bird species (around 530+) along the way to Pangot such as Lammergeier, Himalayan Griffon, Blue-winged Minla, Spotted & Slaty-backed Forktail, Rufous-bellied Woodpecker, Rufous-bellied Niltava, Khalij pheasant are to name a few. One can also spot mammals such as Yellow-throated Himalayan Marten, Sambhar, Himalayan Goral, Barking Deer, Leopard, Civets, Yellow-bellied Himalayan Weasal, Leopard Cat, Serow, Wild Boar, Red Fox etc. The famous Corbett National Park is situated 80 kilometers from Pangot. 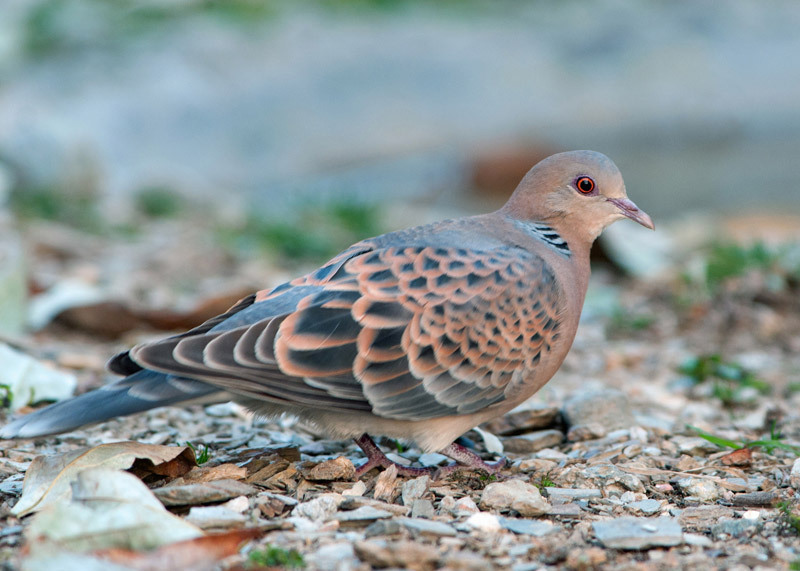 Guidelines for Bird Watching - What to wear during Bird Watching? Jungle Colours such as beige, brown, khaki and olive green which are least disturbing to the environment and therefore most appropriate comfortable safari clothes and shoes made for easy walking are recommended. Light woollens are suggested for the summer months. Rain gear is essential for the monsoons. Note: Pangot is also written as Pangoot. In Google Maps you will find the village marked as Pangoot. What is Pangot famous for? Pangot is famous among tourist as Hill Station and wildlife, Bird watching. Pangot is recommended destination for Couples, Family and Kids, Foreigners, Solo. Pangot is popular destination for following activities/ interests - Bird Watching, Emerging Destinations, Hill Station, Weekend Getaway. Travelling to Pangot in 2019? Contact us for planning your Pangot tour with best travel packages of as per your requirements!